When Malcolm Brown went down last year with a turf toe injury, something he said had been nagging him since high school, Texas did just fine without him at first. The Longhorns racked up 439 yards rushing in a 52-20 blowout win over Texas Tech — 191 from fellow freshman Joe Bergeron and none from Brown. But the Longhorns didn’t run for that many yards in their next three games combined. Bergeron was banged up and senior Fozzy Whittaker was lost for the year as Texas, and its running game, sputtered to the finish line. Brown is dealing with another ailment, an ankle injury that will keep him from playing West Virginia this weekend. Going up against a team with an offense as explosive as the Mountaineers’, the Longhorns will need all the help they can get from their backfield. But, unlike last year, Texas is much better equipped to deal with an injury like Brown’s. D.J. Monroe has scored in every game this year, taking a kickoff back for a 100-yard touchdown in a 41-36 win over Oklahoma State last Saturday. Bergeron has run for a team-high five touchdowns, including the game-winner against the Cowboys. And true freshman Johnathan Gray showed against Oklahoma State what everyone had been waiting to see from the nation’s top running back prospect. The 5-foot-11, 187-pound Aledo product ran for a team-high 68 yards — many of them out of the Wild formation that Whittaker perfected last season — on 11 carries this past weekend. Even senior Jeremy Hills has contributed. Sparingly used in years past, Hills caught three passes for 24 yards, the last two catches coming on the game-winning drive against Oklahoma State. His only other grab was a 15-yarder on 3rd-and-14 in the first quarter. This week promises to be a heavyweight fight, too. Blows in the form of touchdowns are sure to be constantly exchanged and, without Brown, last year’s Longhorns would have been knocked out easily. This year, thanks in large part to Gray, they should be able to hold their own, even against teams like West Virginia. Walters wasn’t the only veteran lineman impressed with Gray. But maybe it was head coach Mack Brown that said it best. “Thank goodness for Johnathan Gray,” he said. Texas beat Texas Tech handily without its leading rusher and receiver but could not beat Missouri without Malcolm Brown, Joe Bergeron and Jaxon Shipley seeing the field. Linebacker Keenan Robinson hurt his thumb in the first quarter and did not return, but the loss of Fozzy Whittaker may have hurt the most. With Whittaker nursing a knee injury suffered on the first drive of the game, the Longhorns were down to fourth-string running back Jeremy Hills and could muster only 76 rushing yards after averaging 440 in the last two games. With David Ash taking over as the full-time starter three contests ago, the Texas quarterback position began to stabilize. But after six straight scoreless possessions, Case McCoy took over in the third quarter, getting his first meaningful playing time in more than a month. Ash went 13-of-29 for 158 yards, completing two long third-down passes on the Longhorns’ opening drive, the only one that produced points. The freshman was also sacked twice on third down, threw an interception near the end of the first half, and missed Marquise Goodwin on what would have been a sure touchdown pass in the first half. Meanwhile, Texas went three and out on McCoy’s first two drives with Justin Tucker missing a 53-yard field goal at the end of McCoy’s third. Missouri came into this game averaging almost 35 points per game but was held to a season-low 17 points Saturday. Even without Robinson and a productive offense for the majority of the day, the Longhorns defense kept them in the game. Texas held its ground when the Tigers blocked a punt and recovered the ball at the Longhorns’ 1-yard line, holding Missouri to a 19-yard field goal. Texas blocked a punt of its own, resulting in a safety, while holding quarterback James Franklin and running back Henry Josey, who suffered a season-ending injury in the third quarter, to a combined 238 yards, close to 200 below their combined season average. Editor’s Note: This is the fourth in an eight-part series about Longhorns hoping to be drafted into the NFL. There was a lot to like about last season. Texas won three more games than it did the year before, including a bowl game, and signed another top-five recruiting class. But Fozzy Whittaker’s knee injury was probably the lowest point. Whittaker, a senior running back, had established himself as a threat out of the “Wild” formation and had become the first player in school history to return kickoffs 100 yards for a touchdown in back-to-back games. He led the country with 42.4 yards per kick return when he tore his ACL in Columbia against Missouri, effectively ending his college football career. Whittaker has no problems walking but still can’t run. He’s still hoping that he can realize his initial goal of being fully recovered six months after having surgery to repair his knee, which took place in January. Whittaker said he would like to participate in an NFL training camp but knows there’s a chance that he might not be good to go in time for Week One. If he goes undrafted, Whittaker plans on pursuing a deal as an undrafted free agent. Whittaker hasn’t worked out for or interviewed with any NFL teams, but the fact that he was invited to the NFL Combine in Indianapolis in February despite only being able to participate in the bench press is encouraging. The way Whittaker made his mark in his final season at Texas should serve him well at the professional level. The roles that third-down tailbacks and special team stalwarts play are usually reserved for young players selected in the later rounds of the NFL Draft or even those signed as undrafted free agents. Fortunately for Whittaker, that’s exactly what he did. Whittaker will graduate in May with a master’s degree in kinesiology and spent some of this spring semester as an intern as a member of the football operations team. One of the projects Whittaker helped out with during that internship was the unveiling of Ricky Williams’ statue before the Orange-White spring game earlier this month. Texas may not have a running back as good as the Heisman Trophy-winning Williams but having guys like Malcolm Brown and Joe Bergeron isn’t too bad, either. Each turned in multiple 100-yard efforts during their freshman year this past season and, along with highly-touted incoming freshman Johnathan Gray, will be a part of a loaded Longhorns backfield. Another running back that Whittaker has seen improvement in is Jeremy Hills, a senior running back who he believes will take over for him in the Wild formation. There’s been a lot of speculation as to who will replace Whittaker in that role and many names thrown out there, but Whittaker sees a lot of potential in Hills. Hills, Brown and Bergeron could very well go on to have a great year in 2012, when Whittaker says Texas can seriously contend for a national championship. But Texas will miss Whittaker. He did anything and everything he was asked to do, whether it was carrying the ball as a tailback, mentoring fellow tailbacks like Brown and Bergeron, extending drives with third-down conversions out of the Wild formation, changing the game as a kick returner or even helping arrange the ceremony for Williams’ statue unveiling. Running back Fozzy Whittaker (#2) had his senior season cut short by a knee injury, but he hopes to heal it in time to play in the NFL (Daily Texan file photo from September 6, 2011). 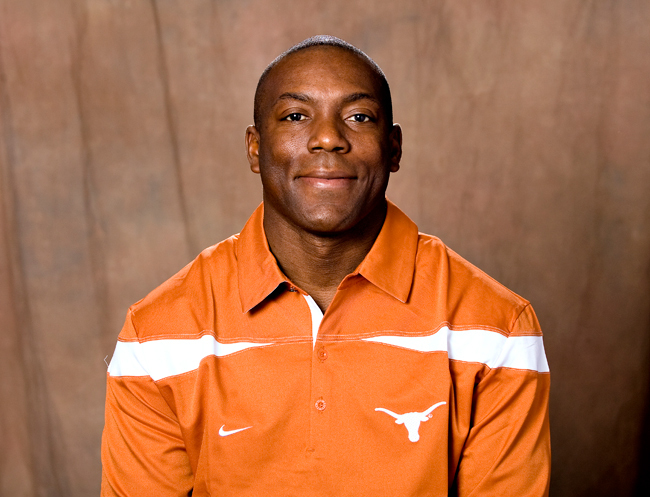 In his five years at Texas, running back Fozzy Whittaker played in 38 games and started in 18. During his college career, he carried the ball 263 times for 1,233 yards and 12 touchdowns. In addition, he had 73 receptions for 464 yards. He was a kickoff return specialist and holds a school record with two touchdowns, both coming in consecutive contests last season and both going for a school record 100 yards. Whittaker’s senior season ended early as he suffered a knee injury while playing against Missouri. But he still led the team with nine total touchdowns scored. Despite his injury, Whittaker was invited to the NFL Combine. He did not participate in any of the workouts except for the bench press, in which he had 20 reps. Although Whittaker had an impressive career as a running back and as kickoff returner, his skills in the Wild formation have left an impression on Texas. “I heard Bryan [Harsin] say, probably two weeks before Fozzy got hurt, ‘I’ve never seen anybody do this [the wild formation] as good as Fozzy Whittaker.’ He’s just a natural for it,” said head coach Mack Brown during a press conference last week. It is expected that Whittaker, who is 5-foot-10 and 202 pounds, will be drafted around the sixth round. Although he is small, he is explosive and has good vision. But, according to the NFL Combine analysis, Whittaker struggles to move laterally. In addition, his injury will definitely be a concern for teams considering drafting him. Quarterback: Kansas State ranks last in the Big 12 in passing offense, but that’s not what the Wildcats use it for. Wildcat signal caller Collin Klein is fourth in the conference in rushing. Kansas State uses a kind of zone read-option hybrid offense and gets most of its yards on the ground. Last week, when asked to win the game against Missouri, the Texas quarterbacks were not up to the task. Both quarterback combined 171 yards passing on 16 of 36 attempts and one interception. With the top-three rushing options out of the game, the offense was stagnant and could not make any plays. Despite being last in passing yards, Kansas State will have the advantage at quarterback because of Klein’s dynamic skill set. Running Back: As long as Texas has one of its top options in the backfield, it will have the advantage at the position. Losing Fozzy Whittaker will be tough for the team. Aside from being one of the main leaders of the squad, he was having one of his most productive seasons as a Longhorn. The Wild Cats are led by their quarterback, Collin Klein, who has more than 1,000 yards rushing on the season. Sophomore John Hubert is second on the team 781 yards. Though Kansas State is primarily a rushing team, it has been out-rushed by Texas this season. If either Malcolm Brown or Joe Bergeron can play at 100 percent, Texas will have the advantage. If not, it could be a long day on offense for the Longhorns. Receivers: Neither team has a receiver in the top 10 of receptions, receiving yards per game or total receiving yards in the conference. The leading receiver for Kansas State is junior Chris Harper, while Texas is led by Mike Davis. Harper is the only Wildcat receiver who has more than 20 catches on the year, while Davis has been the primary receiver for David Ash, especially with Jaxon Shipley out the past couple of games. If Shipley is healthy, then Texas will have two good receivers to Kansas State’s one. The most important factor for receivers in this game won’t be catches or yards. Instead, it will be based on their ability to block defenders down field for the running backs. Offensive Line: With both teams wanting to run the ball in this game, the play of the lines becomes one of the deciding factors to the game. Texas is still the top rushing team in the conference, despite only gaining 76 yards on the ground against Missouri. Kansas State allowed an uncharacteristic 10 tackles for loss against Texas A&M with four sacks. Both teams average more than 4.5 yards per carry, with Texas boasting a slightly better 4.92 to the Wildcats’ 4.55 yards per attempt. Kansas State allows just more than seven tackles for loss a game, with Texas allowing seven exactly. Both lines are pretty evenly matched, but Texas has more talent behind it if it shows up to play. Defensive Line: Over the past three games, Jackson Jeffcoat is tied for the team lead in tackles with 27. He and Alex Okafor have been much more active of late, and it is leading to stronger play across the defensive line. In the middle, Ashton Dorsey and Kheeston Randall have been making big impacts against both the run and the pass. And the biggest surprise may be coming from Chris Whaley, who has been consistently getting on the field and making his presence known. Kansas State has only 43 tackles for loss this season, which is just more than four a game. Texas has 71 tackles for loss this season, with 35 of those coming in the last three games. These are the top two rush defenses in the conference, which will pit both teams strengths on offense and defense against each other. Linebacker: Emmanuel Acho is tied with Jeffcoat with 27 tackles over the last three games, and had a game-high four tackles for loss against Missouri, including a forced fumble. He is leading the team in tackling with 88 tackles and is averaging just less than 10 a game. Kansas State is led by Arthur Brown who has 78 tackles in 10 games. He was the first player to pick off Robert Griffin of Baylor in the Wild Cat’s win over the Bears. Texas only allows 94.8 yards per game on the ground, with Kansas State allowing 99.8 yards rushing per game. These are the only two teams in the conference to hold opponents to less than 100 yards rushing. Nationally, both teams are in the top 25 in terms of stopping the run, with Texas at No.10 and Kansas State at No. 25. Whichever team can stop the run the best will have a major advantage in this game. Defensive Backs: Texas has the best defensive backfield in the conference and is leading the Big 12 in pass-efficiency defense and is second in overall pass defense. Meanwhile, Kansas State is near the bottom of both pass defense and pass efficiency defense in the conference. Kansas State is second in the conference in turnover margin thanks to 14 interceptions this season, with Nigel Malone leading the conference with six interceptions. There won’t be a lot of passing in this game, but if the Texas quarterbacks have to move the ball, they will be going up against one of the worst in the conference, while Kansas State will have a hard time against the Texas secondary. Texas has the top overall defense in the Big 12, and Kansas State is third overall, so this may end up being a very low-scoring game. Special Teams: Texas is among the conference’s top kickoff return teams, but so is Kansas State. The Wildcats are ranked No.7 nationally and Texas is No. 13. Neither team is particularly strong in punting the ball or returning punts, so kick returns carry extra importance in this one. Tyler Locket has two kick return touchdowns this season and is currently leading the nation in kickoff returns. Whittaker was the leading return man for Texas, but with him out for the season, D.J. Monroe, Quandre Diggs and Marquise Goodwin have to pick up their production. If a close game came down to field goals, Texas would have a slight advantage with Justin Tucker only having missed two field goal attempts, while Kansas States Anthony Cantele having missed five kicks and one PAT. The Longhorns have some big shoes to fill. A season-ending knee injury to Fozzy Whittaker last week leaves a gaping hole in the Texas offense, but the senior’s leadership will also be missed. Whittaker led the Longhorns with nine touchdowns and 955 all-purpose yards and was the heart and soul of the team. Whittaker, UT’s third leading rusher, was most effective running the “Wild” package, where he used his vision, power and speed to near perfection in the red zone. He took 25 direct snaps, resulting in 164 rushing yards and five touchdowns. 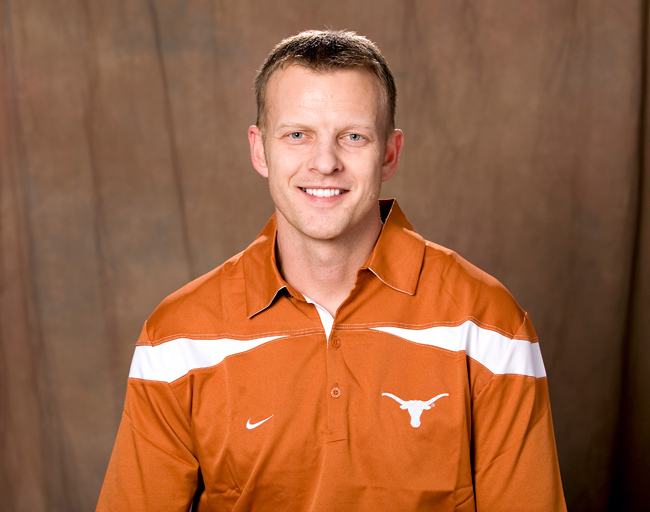 Now, the onus is on play-caller Bryan Harsin to account for that lost production. 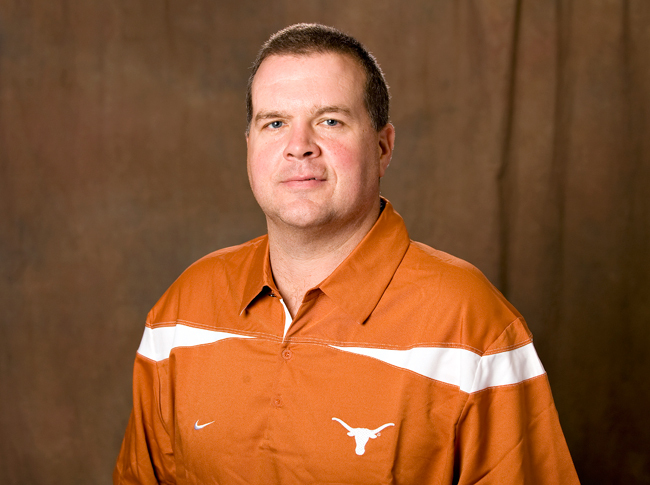 He says the Longhorns can still use the “Wild” formation. Junior tailback Jeremy Hills carried 11 times for 35 yards after Whittaker’s injury in the first quarter against Missouri last week. Harsin said he wants a running back to assume Whittaker’s spot in the Wild, and Hills or D.J. Monroe fit the mold. Senior left guard David Snow believes Harsin can find a solution in just one week. But Whittaker’s absence will affect more than just one formation. He was an important part of the Longhorns’ power run game, and with leading rushers Malcolm Brown and Joe Bergeron nursing injuries (turf toe and hamstring, respectively), Texas needs more production from the rest of its offense. The Longhorns were held to a season-worst 247 yards against Missouri without that trio, and Harsin’s offense failed to score a touchdown for the first time in his 75-game career as a coordinator (five seasons at Boise State, one at Texas). That means more production from the passing game. Quarterback David Ash struggled in his first road start and couldn’t find a rhythm against MU. He missed open receivers down field and had more incompletions (16) than completions (13). Sophomore wide out Mike Davis, though, has shown big-play ability and could be the spark Texas so desperately needs. Davis is first on the team with 33 receptions for 521 yards and has four catches of at least 45 yards. Still, Davis is most dangerous in play-action, meaning the Longhorns will have to be able to run the ball to set up the pass. They were unable to do that against Missouri, granted they were without Brown and Bergeron. But with their status unknown moving forward — head coach Mack Brown said he can’t plan on them playing Saturday — it’s unclear how effective the offense can be. One thing is certain, though, Harsin remains committed to running the ball. 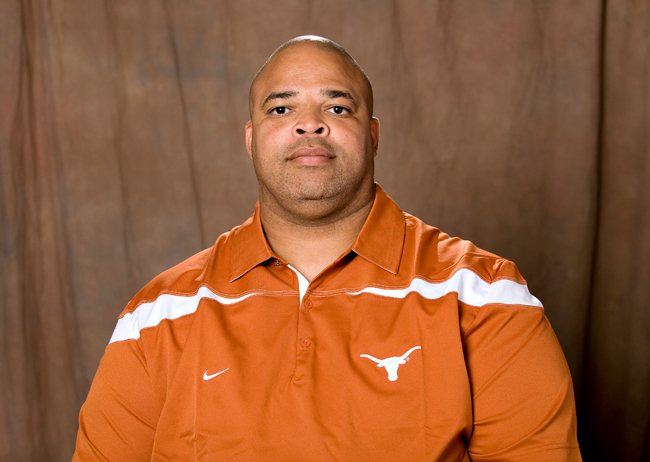 Now Texas just needs to find the next Fozzy Whittaker. That’s easier said than done. But if anyone can do that, it’s Harsin. With Fozzy Whittaker out for the season and Malcolm Brown and Joe Bergeron banged up, junior tailback D.J. Monroe has to carry more of a load. The Longhorns are going back to the drawing board this week. Texas looked like a team on the rise two weeks ago, but Saturday’s 17-5 loss to Missouri and a season-ending knee injury to Fozzy Whittaker threw a wrench in the Longhorn’s plans. Whittaker led UT with nine touchdowns and 955 all-purpose yards, and leading rushers Malcolm Brown and Joe Bergeron are both nursing injuries. Brown, a freshman, has been sidelined by turf toe for two weeks and a hamstring issue has limited Bergeron in practice. Both suited up but did not play against Missouri and their status is uncertain moving forward, starting with Saturday’s game against Kansas State. Texas had found something on offense in the run game behind the trio of Brown, Bergeron and Whittaker, rushing for more than 400 yards in two straight games. But things turned south against Missouri and UT was held to a season-worst 247 yards (76 rushing). The Longhorns don’t have much time to figure it out with No. 16 Kansas State (8-2) visiting on Saturday. Longhorns defensive coordinator Manny Diaz compares Kansas State quarterback Collin Klein to former Heisman Trophy-winner Tim Tebow. Klein leads the nation with 24 rushing touchdowns and is first among quarterbacks with 1,009 rushing yards. He ran for a school-record five touchdowns last week against Texas A&M and is three scores shy of Ricky Williams’ Big 12 season record (27). Tebow was a dual-threat quarterback at Florida, where he led the Gators to a pair of national championships before being selected in the first round of the 2010 NFL Draft (No. 25 to Denver). Klein has an awkward throwing motion, much like Tebow, but has passed for 1,504 yards and 10 touchdowns against five interceptions in 10 games. Klein torched Texas last season for 127 rushing yards and two touchdowns as the Wildcats won, 39-14 in Manhattan. Mack Brown said he plans to suggest the American Football Coaches Association look into expanded replay for the 2012 season. The Longhorns had a few calls go against them in Saturday’s loss to Missouri. Texas safety Kenny Vaccaro was penalized for illegal helmet-to-helmet contact on a questionable play in the second quarter against the Tigers. Vaccaro stopped De’Vion Moore for a two-yard loss on third down, but was flagged for a personal foul. On the ensuing play, Kendial Lawrence sprinted 35 yards for a touchdown to give MU a 14-3 advantage. Fozzy leads the team with a tackle in the Texas v. Rice game. Without their top two rushers, the Longhorns needed a big day out of Fozzy Whittaker. On the fourth play from scrimmage, David Ash pitched the ball to the senior tailback, whose knee awkwardly buckled beneath him. It was his third carry of the game but proved to the last one of his career. “How do you get hit as many times as I’ve been hit and my knee goes out on a play where I’m not even touched?” Whittaker wondered to head coach Mack Brown on the sideline. 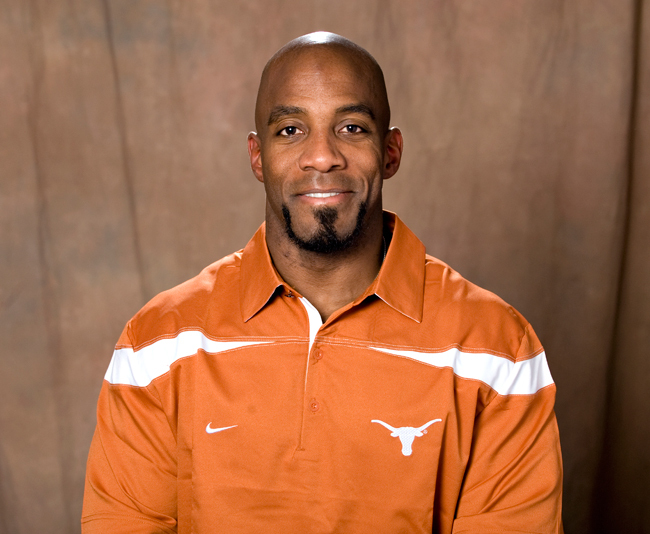 Whittaker battled injuries throughout his Longhorns career, never making it through a full season healthy. He missed six games during his freshman year with a knee injury, another three as a sophomore and a shoulder injury kept him out of Texas’ win over Florida Atlantic last season. He finally realized his potential this season, becoming one of the team’s most reliable playmakers working out of the Wild formation and one of the nation’s most explosive kick returners. But his stellar senior season came to an abrupt end Saturday. 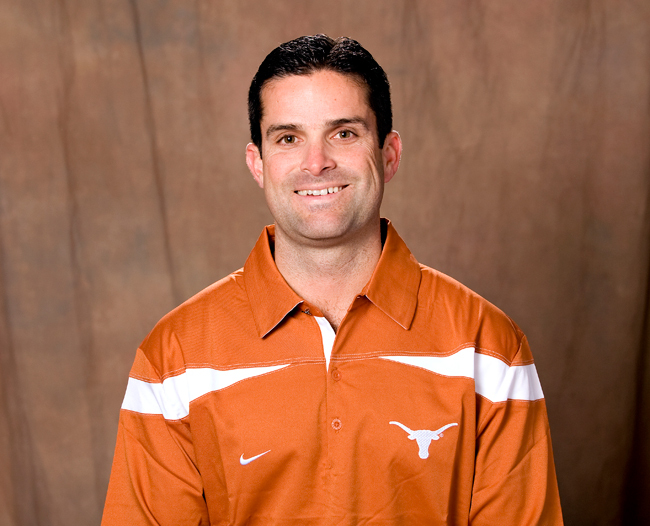 “You lose part of your heart, part of the soul of this team,” said defensive coordinator Manny Diaz. No date has been set, but Whittaker plans on having surgery to repair his torn ACL in mid-December. Doctors have told him it will take at least six months after the surgery before he’ll make a full recovery, although Whittaker hopes to be healthy sooner. Whittaker is using a cart to get around campus to and from his classes but expects to be in crutches for Saturday’s game and Senior Night ceremonies. He is also on track to obtain a master’s degree in kinesiology next May. Somehow, Whittaker has found a way to remain encouraged and upbeat, making him virtually the only person with an optimistic perspective of his situation. Brown said Whittaker is the most positive person he’s ever met, as evidenced by his response to tearing his ACL and MCL this past weekend. The career-ending injury Whittaker suffered Saturday is likely the most disheartening sustained by a Texas football player since Colt McCoy was knocked out of the 2010 national title game against Alabama. Emotions are likely to run high this weekend with the upcoming Senior Night festivities. When asked if he would cry this Saturday, senior safety Blake Gideon wasn’t sure but he may have answered that question after tearing up while talking about Whittaker. Whittaker will still attend the same meetings, practices and games he did while he was healthy, but Gideon will be joined by many melancholy Longhorns fans who will miss Whittaker’s contributions on the field.